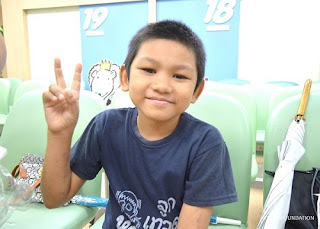 TISCO Foundation: มอบทุนรักษาพยาบาลเด็กชายธีรเมธ สกุลจีน - TISCO Foundation is donating a medical care grant to Teeramet Sakuljeen. มอบทุนรักษาพยาบาลเด็กชายธีรเมธ สกุลจีน - TISCO Foundation is donating a medical care grant to Teeramet Sakuljeen. 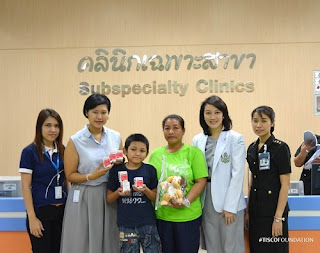 TISCO Foundation is donating a medical care grant to Teeramet Sakuljeen at Pramongkutkloa Hospital. The grant includes 15 boxes of blood sugar test strips, THB 9,750. Teeramet has type 1 diabetes which requires him to perform blood sugar test at least 4 times a day to control the blood sugar level. The supplies will last about 6 months.